HomeSci-Film ReviewsHow Do The Seasons Work in the Game of Thrones Series? 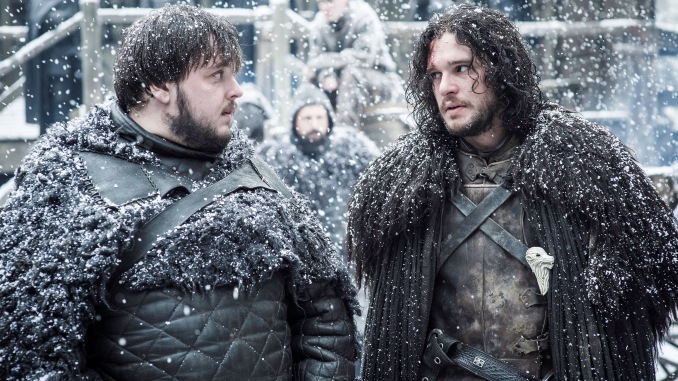 How Do The Seasons Work in the Game of Thrones Series? While there are many things that make George R.R. Martin’s fictitious world of Westeros fascinating, one of the most interesting elements of the planet is the variable nature of its seasons. Simply imagining a world where summer can arrive without warning and last a short while before giving way to a seemingly unending winter boggles the mind. As we Earthlings are so accustomed to the regularity of our own seasonal variations, it’s difficult to fathom how people living on “the world” of Game of Thrones are able to live their lives not knowing when the seasons might shift. On Earth, we have understood the reason for our seasons for centuries, which are caused by the tilt of the planet on its axis as it orbits the Sun; when one hemisphere tilts inward toward the Sun, summer arrives, while the other hemisphere is angled away from the Sun and caught in winter. The Earth tilts at a precise angle of 23.4 degrees on its axis of rotation, while the direction of the axis stays completely fixed as our planet orbits the Sun. This stability allows us to have four very distinct seasons, with less sunlight reaching the Earth causing the coldness of wintertime, and more sunlight bringing the hot summer weather. Nevertheless, it isn’t some feature of the Earth itself that allows for this stable rotation, as the credit goes to the Moon. Because the Moon is so large, its force or pull keeps the Earth optimally positioned at all times on its axis, and if the Moon disappeared, the Earth would wobble as it rotated around the Sun. While we do know that the ‘Game of Thrones’ planet has a moon, the satellite could be tiny or located very far away. If it were, then it is quite possible that the planet would wobble as it rotated around its own sun. This would mean that portions of the planet would constantly be shifting toward and away from the sun without any warning to its inhabitants, leading to the extreme seasonal variation. In Game of Thrones, it is said that “once there were two moons in the sky, but one wandered too close to the sun and cracked from the heat.” If this were the case, Westeros at one time might have had regular seasons due to the stabilizing force of its second moon. Some people mistakenly believe that the Earth’s seasons are due to changes in its proximity to the Sun as it orbits our nearest star. While it’s true that the Earth does have an elliptical orbit, the differences in distance between the Earth and the Sun is minimal such that at perihelion in early January the Earth is about 91.4 million miles from the Sun, while at aphelion in early July that figure is around 94.5 million miles. In other words, the distances involved are never so great that they would cause any significant impact to the Earth’s climate or seasons. The same might not be true of Westeros, and it could be that the orbit that the planet makes around its sun is a very long elliptical shape. In this scenario, during its aphelion point (furthest from sun) the planet would be extremely cold, while at the perihelion point (nearest the sun) the planet would have a long period of summer. The orbital pathway of Mars, for instance, is very eccentric, with a 20% difference (26 million miles) between its aphelion and perihelion position. As a result, during perihelion the largest dust storms in the solar system become common on the planet’s surface, while during aphelion ice clouds form in the atmosphere and interact with dust particles to affect temperatures. While this theory makes sense for describing the length of the seasons on Westeros, it does not explain why no one ever knows when the next season will arrive. Even with a very elongated orbit, the people of Westeros would have been able to observe a noticeable pattern over time. The fact that everyone is taken by surprise when the seasons change makes it unlikely that an elongated orbit alone would be the cause of the phenomenon. While our seasons here on Earth change four times per year, the planet is also undergoing climactic changes which occur on a much longer, yet still predictable cycle that astronomers refer to as the Milankovitch Cycle. According to one intriguing theory the Game of Thrones world may have a much shorter Milankovitch cycles therefore resulting in a more irregular and complex climactic patterns. It was Serbian astronomer Milutin Milankovic who first postulated that a planet’s eccentric orbit, axial tilt, and precession combine to affect the amount of solar heat received on the body’s surface and therefore its climate. Here on Earth this means that variations in our planet’s orbit from elliptical to less elliptical and back again every 100,000 years; an axial tilt cycle from 22.1 degrees to 24.5 degrees and back every 41,000 years; and the Earth’s precession (wobble) cycle every 26,000 years means that we are subjected to a range of climatic changes which includes ice ages. It could be that Westeros has a much shorter and complicated Milkankovitch cycle than the one observed here on Earth, leading to very severe seasonal variations that are completely unpredictable. While an advanced society might be able to accurately track the stages using complicated physics equations, people with the level of technology found on Westeros would not. While we can predict our seasons accurately here on Earth, conditions can arise that cause unseasonable weather. An example of this would be El Nino, a weather pattern which occurs when trade winds in the western and middle portions of the Pacific slow down reducing the angle at which water is warmed. This ends up causing the water temperatures in this region of the Pacific to increase and for weather to move in new directions. Specifically, the southern US and portions of Peru are subsequently subjected to unusually high amounts of rainfall, while portions of Australia may suffer massive droughts and became a veritable tinderbox ready to erupt in brush fires. El Nino can be monitored by scientists but is difficult to predict. 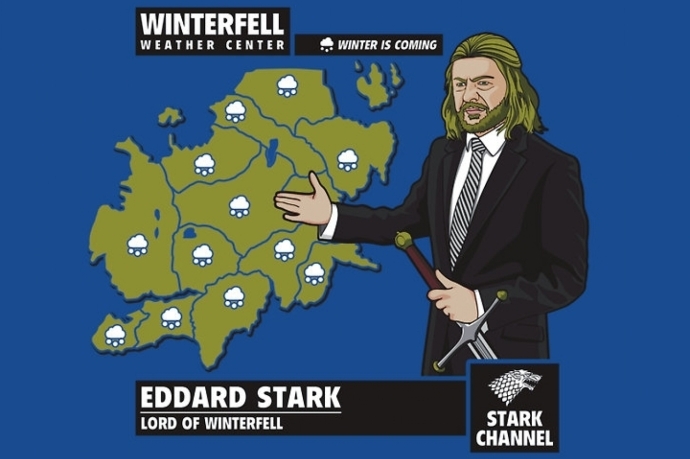 It is possible that some type of geographic or weather-related phenomena is also at play in Westeros. The ocean temperatures, the flow of the currents and the speed and direction of the winds across the planet would all have a major impact on climate. This would be even more likely if the world’s terrain is more extreme with larger mountains, more expansive oceans and stronger prevailing winds. Extreme terrains could cause weather patterns to shift suddenly without the people of the Seven Kingdoms being able to predict when those changes may occur. Planets that orbit two suns have very unpredictable seasons, and while we know that Westeros has one sun, we cannot be certain that it doesn’t have a second star affecting it orbit. If the Game of Thrones world is circumbinary then at any time during a “year” the planet could be close to both suns, far from both suns or near one but far from the other. It would therefore become incredibly difficult to predict when winter or summer would arrive, and how long or severe it might be when it did finally come. Of course, we have never heard of two sunrises or two sunsets in any of the ‘A Song of Fire and Ice’ books, nor had any such event mentioned on the Game of Thrones series, so it is impossible to know whether this is a likely scenario. None of these six possible explanations for Westeros’ unpredictable seasonal changes is mutually exclusive. It could be that two, three, four or all five of them are responsible for the extreme weather. In fact, the more factors that you mix together, the more difficult the predictions would be, and the more likely it would be that no one on Westeros has ever been able to observe a pattern. Ultimately, only George R.R. Martin knows the answer to why Westeros’ seasons are the way they are, while for scientists and fans alike the climatic conditions of “the world” are likely to remain as much a mystery to us as it is to the people of the Seven Kingdoms.